Safe Systems customers of SafeSysMail already know that their email solution is powered by O365, which includes Skype for Business, but may not fully appreciate the scope of benefits that it provides. This powerful tool brings together real time instant messaging, business meeting capability, and desktop sharing into one comprehensive desktop environment. Chances are, you are already familiar with the Skype brand. Skype rose to notoriety as an Internet video and audio calling solution, and people from around the world use it for these features today. Microsoft acquired Skype in 2011, and has since expanded its utility to include a much broader set of communications features. In the next few paragraphs, we will briefly touch on the many avenues for communication that Skype can provide for your institution. Skype Messaging is actually an evolution of Microsoft’s existing Instant Messaging client, Lync. Like most Instant Messaging platforms it supports adding and grouping contacts, auditing status of those contacts, tracking conversation with those contacts, and archival of those conversations. Additionally, you can set an outgoing status message for other to see (such as your phone extension) and define your status (Available, Away, Busy, Do Not Disturb, etc.). If you forget to update your status, don’t worry – your status will dynamically adjust based on your Exchange calendar’s scheduled meeting. These features make it easier for your employees to know when their coworkers are available for a quick chat, regardless of their location. The conversation thread window is full featured as well, supporting file transfer, multimedia messaging, and direct transition into group chat, desktop sharing, and video/audio calling. The interface integrates messaging, desktop sharing, and business meeting features for easy access on the fly. This means that conversations can blossom into quick meetings, and users can conveniently show their work without having to flip back-and-forth between screens. 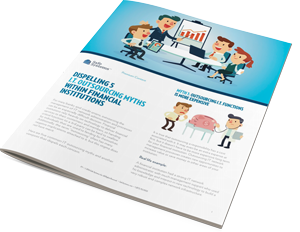 Learn why five of the most commonly believed “facts” about IT outsourcing within community financial institutions are actually myths. Skype is designed to make collaboration a snap. The Skype Desktop Sharing feature allows you to share an individual program on your screen or your entire desktop with a single contact or a group. If your pop-up meeting requires additional input, then you can add additional meeting participants into the existing communication. For a more formal meeting, the Skype Business Meeting function allows users to send calendar invites and meeting information to selected users. Once the meeting begins, the same interface used in the Desktop Sharing function is used to conduct the meeting. In order to keep everyone on the same page, the console provides helpful real-time information; you can see if users are muted, typing in the chat window, transmitting video, or sharing their screen. If you started the meeting you can also configure some of those input settings, such as manually muting a user if needed. 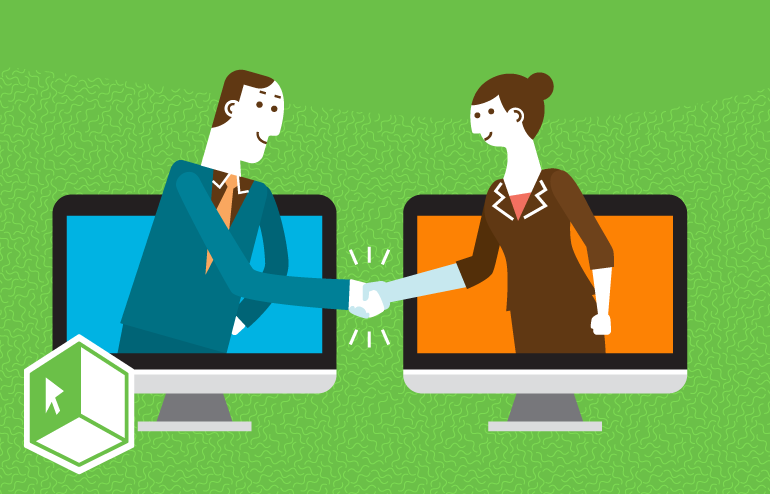 Skype fills a business need by empowering employee communication and collaboration. While Skype is far from the only application you can use for this purpose, it does an excellent job packaging a number of useful features into a user-friendly tool. And if you are an O365 customer through SafeSysMail, then you cannot beat the price. Consider investigating Skype to determine if it is the right fit for your institution. To learn more about how community bankers nationwide are leveraging SafeSysMail and Skype for Business to improve communications and encourage greater collaboration among their staff, please check out our website.